As that relatively small group of believers gathered, they were empowered by the Holy Spirit to proclaim the gospel with boldness. The practice of prayer was a regular occurrence in those early days. God’s Word was proclaimed, the church grew, and the prayer-circle expanded: “And they devoted themselves to the apostles’ teaching and the fellowship, to the breaking of bread and the prayers” (Acts 2:42, ESV). Christ’s church was built on the rock-solid foundation of the gospel and God’s gracious response to the prayers of His people. During His brief time of earthly ministry, the Lord Jesus had shown by example the importance of spending time in prayer and communion with the Father (see Matthew 14:23, Luke 9:28, and Mark 1:35), and as they sought to obey Christ’s final command to “go into all the world and preach the Gospel” (Mark 16:15, NASB), these early believers followed His example and gathered often to pray. “ 1 Now in these days when the disciples were increasing in number, a complaint by the Hellenists arose against the Hebrews because their widows were being neglected in the daily distribution. 2 And the twelve summoned the full number of the disciples and said, ‘It is not right that we should give up preaching the word of God to serve tables.3 Therefore, brothers, pick out from among you seven men of good repute, full of the Spirit and of wisdom, whom we will appoint to this duty. 4 But we will devote ourselves to prayer and to the ministry of the word.’ 5 And what they said pleased the whole gathering, and they chose Stephen, a man full of faith and of the Holy Spirit, and Philip, and Prochorus, and Nicanor, and Timon, and Parmenas, and Nicolaus, a proselyte of Antioch. 6 These they set before the apostles, and they prayed and laid their hands on them. 7 And the word of God continued to increase, and the number of the disciples multiplied greatly in Jerusalem, and a great many of the priests became obedient to the faith” (Acts 6:1-7, ESV). This passage highlights for us the apostles’ wisdom in leading the infant church. They understood the importance of caring for the physical needs of their flock, yet they would not allow it to take priority over the spiritual feeding of souls. Their recommendation to appoint “men of good repute, full of the Spirit and of wisdom” (6:3) to serve tables and oversee food distribution is proof that the leaders of the early church clearly understood their own apostolic calling: to pray and to preach. Fast-forward to today. Regardless of membership roles, music style, or the number of likes on a Facebook page, Christ’s church is still being built by praying and proclaiming. This same principle applies to us as Cove staff. As we seek to serve God by welcoming His people and proclaiming His Word, we know our efforts will only be effective if they are preceded by prayer. 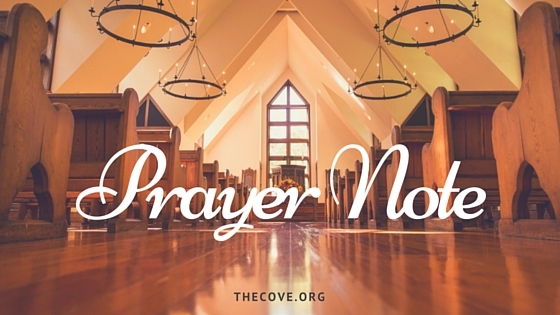 We appreciate you joining us in prayer for the following events that will take place on The Cove property during the month of May. “The Lord is the one who goes ahead of you; He will be with you. He will not fail you or forsake you. Do not fear or be dismayed” (Deuteronomy 31:6, NASB). Remember 2017? Terror attacks. Wildfires. Violent protests. Nuclear threats. Political divisions. A concert shooting. School shootings. Church shootings. Sexual assaults. Hurricanes. Floods. Earthquakes. Amid the chaos, confusion and sadness brought on by many of these tragic events, we saw glimpses of goodness, bravery, compassion and human kindness. Brave soldiers, firemen, police officers, EMTs, relief workers and ordinary citizens ran toward danger rather than away from it, saving lives, relieving burdens and providing glimmers of hope in the midst of heartbreak. Some made headlines while others did not. One positive event that occurred last summer brought Americans together from coast to coast, and the hype surrounding it was almost as memorable as the event itself. Dubbed “The Great American Eclipse,” the total solar eclipse that took place in the skies over the United States on August 21 of 2017 was an unforgettable shared experience. Scores of Americans laid down hard-earned cash to buy goofy-looking protective glasses in cardboard frames. Some traveled great distances to gather in public squares, on mountaintops or in open fields along the path of totality. Many of us at The Cove even donned those classy protective shades to glimpse the eclipse from the Training Center deck or parking lot! 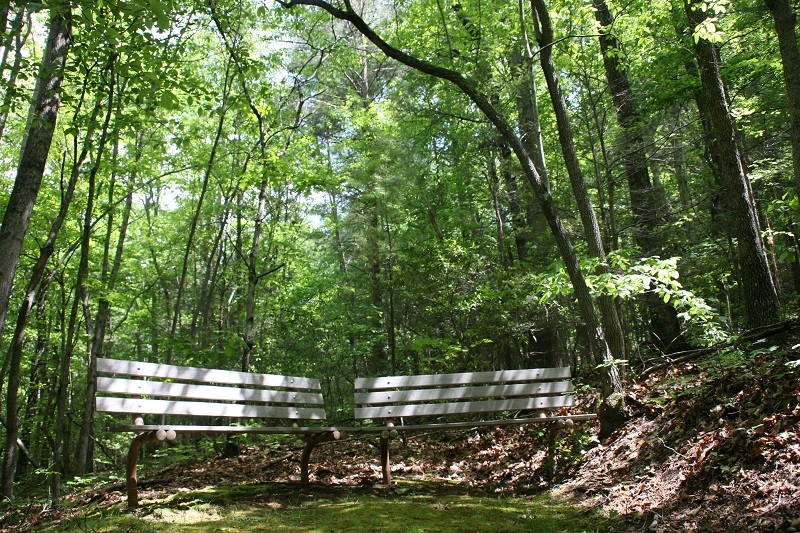 While many Christians were moved to expressions of awe and praise to God for the breathtaking display of His handiwork during the celestial event, there were also plenty of unbelievers who were moved to near-religious fervor at the spectacle—praising nature, the sun or “The Universe.” God’s common grace allows us all to recognize beauty when we see it. Almost equally as miraculous was the fact that despite our political or religious affiliation or skin color, we all were looking up in unison as the path of the eclipse moved from the Oregon coast and across the country to South Carolina. As we reflect back on 2017 and look ahead into the new year, we may be tempted to give in to feelings of fear, anxiety, anger or disappointment. Some of us may progress into 2018 with heavy hearts as we still move in the shadows of a serious personal trial or loss. Like the shadow cast when the sun, moon and Earth aligned last August, we stand in a dark and gloomy place, wondering when the light will return. It’s in these places where we realize rose-colored glasses provide no help. We need much more than positive thinking to carry us through. We need to look up. “Lift up your eyes to the sky, then look to the earth beneath; for the sky will vanish like smoke, and the earth will wear out like a garment and its inhabitants will die in like manner; but My salvation will be forever, and My righteousness will not wane” (Isaiah 51:6, NASB). Despite the very real shadows that may obscure your path as you begin a new year, look up and acknowledge God’s sovereignty and seek Him through prayer and study of His Word. As we intentionally seek to view the world and our circumstances in the light of God’s eternal truth and unbreakable promises, we can gain the courage needed to walk through the shadowy places, knowing He walks beside us though we may not see His face. “Even though I walk through the valley of the shadow of death, I fear no evil, for You are with me; Your rod and Your staff, they comfort me” (Psalm 23:4, NASB). 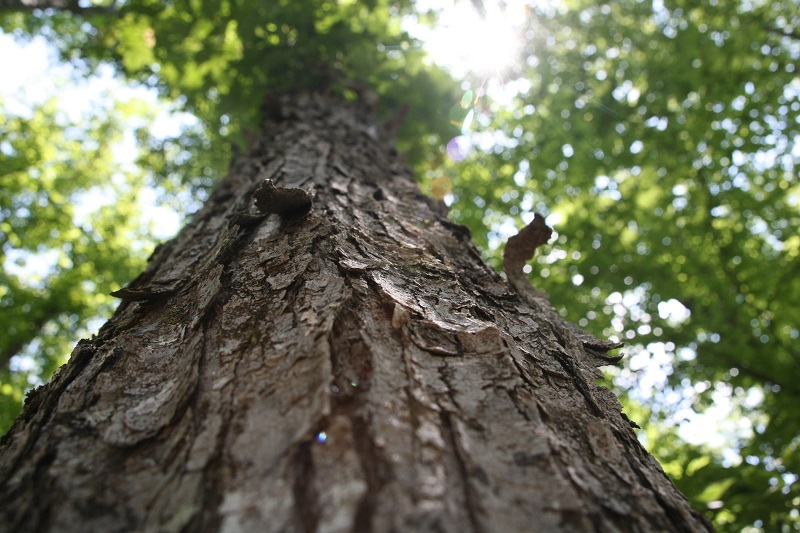 Before plunging ahead into the activities and events of this new year, let’s take the time to look up. Let’s pray and seek the face of our Shepherd, asking Him to light our path, guide our steps and encourage our hearts. His promises are true and we can trust Him! “The Lord God is a sun and shield; the Lord gives grace and glory; no good thing does He withhold from those who walk uprightly” (Psalm 84:11, NASB). We appreciate you joining us in prayer for the following events taking place on The Cove property during the month of January. NOTE: Can’t make it in person? Kendra’s Bible study will also be streaming live each Tuesday evening on Periscope, via Twitter, where you can watch from the comfort of your own home. 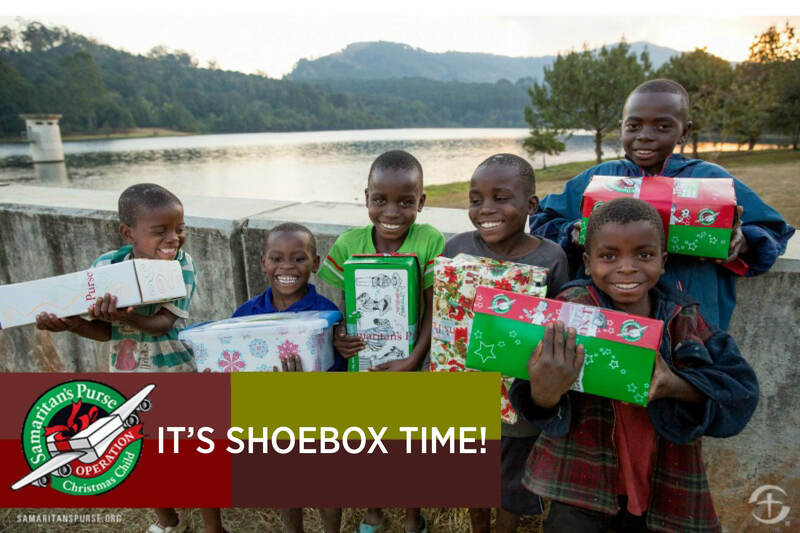 It’s that time of year again to pack your shoebox(es) for Operation Christmas Child! A project of Samaritan’s Purse, OCC’s mission is to provide local partners around the world with shoeboxes filled with small toys, hygiene items, and school supplies as a means of reaching out to children in their own communities with the Good News of Jesus Christ. Just like years past, The Cove will once again be a drop-off location for your shoeboxes during the National Collection Week, November 13-20, 2017. 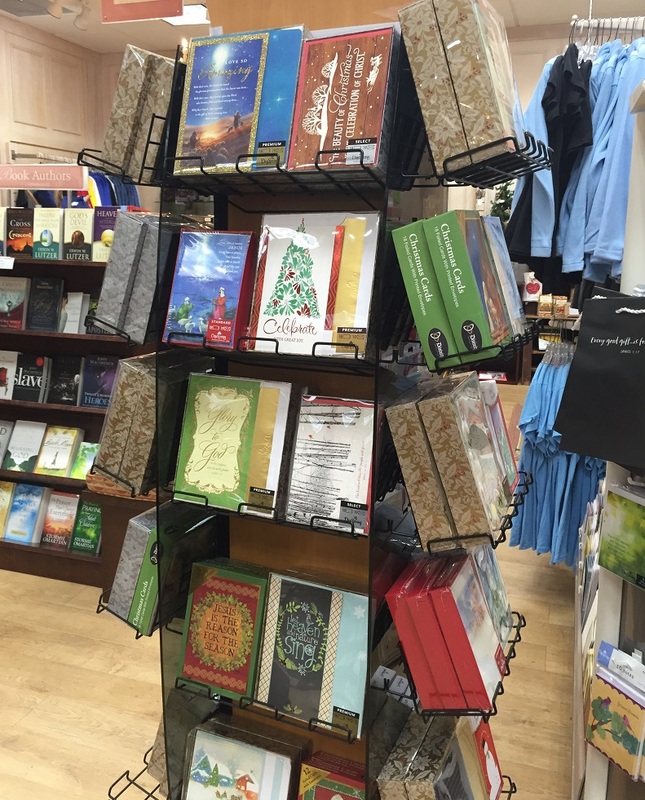 We’re located at 1 Porter’s Cove Road, Asheville, NC (Just off of I-40, exit 55). Radio station 106.9 The Light will be at The Cove drop-off location on Friday, November 17 from 2:00pm – 6:00pm. They will be giving out free Christmas CDs to the first 25 families to bring shoeboxes. Watch this video to learn more about OCC and the amazing impact they have on children across the globe. Perfection. Have you ever seen it? Sure, we may gaze at a snowflake, a flower or a child’s smile and feel that we are looking at perfection. But examine more closely – that snowflake will soon dissolve, the flower is missing a petal, and the child will certainly have his share of misbehavior. The fact of the matter is that in this world, very little is without blemish or defect. The same can be said of the Old Testament sacrifices. They were not perfect and did not permanently purify anything. They had to be repeated constantly, and they never truly dealt with sin and judgment. But when we look at the sacrifice of Jesus, the most pivotal moment in history, we witness something that is so perfect that it changes the course of eternity. Let’s visit Hebrews 9:23-28. First, Jesus’ sacrifice purified everything—in heaven and on earth. 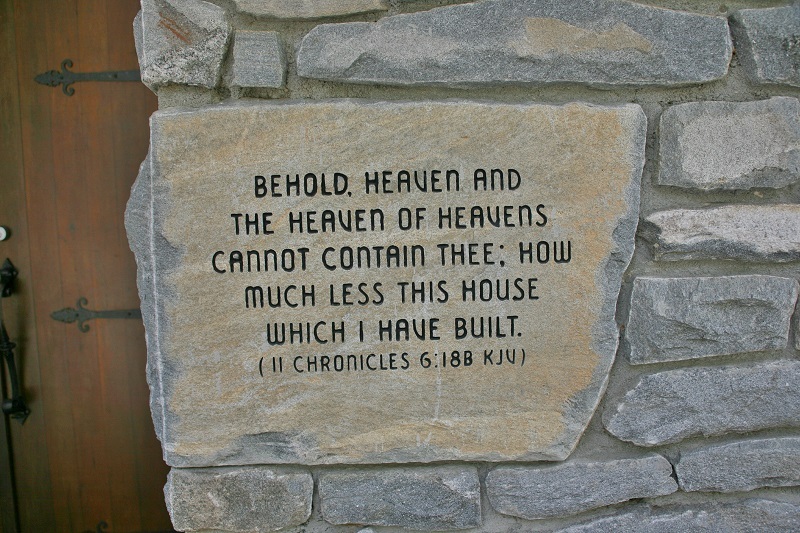 Verses 23 and 24 share that not only the “copies of heavenly things” (in other words, the things of man) would be purified, but “the heavenly things themselves.” Christ’s blood had to be over everything, and therefore even the way into heaven must be covered and cleansed with blood as man comes to God. The sacrifice of Jesus – the very reason we celebrate Easter – is what makes it possible for us to enter into heaven. We have been cleansed through the blood of Jesus on the cross, all the way to the heavenly realm. Second, Jesus’ sacrifice does not need to be repeated. Under the old covenant, the High Priest had to annually make atonement for the sins of the nation on Yom Kippur, year after year. Not true with Jesus’ sacrifice. Verses 25 and 26 explain that there is no longer a need for repeated blood sacrifices, as Jesus “…has appeared once for all at the end of the ages to put away sin by the sacrifice of himself.” He never had to repeat it because it was a perfect sacrifice—the shed blood of a man for men. That is why, as Christians, we don’t have to fear death. Finally, Jesus’ sacrifice is perfect because it took away judgment. My friends, I’m sorry to break it to you, but – short of Christ’s return – you are going to die someday. Verse 27 says, “And just as it is appointed for man to die once, and after that comes judgment.” We will all eventually pass from this world and stand before the Lord. However, thanks to the finished perfect sacrifice of Jesus, He has taken that judgment for those who believe. Verse 28: “so Christ, having been offered once to bear the sins of many, will appear a second time, not to deal with sin but to save those who are eagerly waiting for him.” What an incredible grace that we’ve been given! The debt has been paid! What is the point of Hebrews 9:23-28? It’s this: Jesus’ sacrifice was so perfect that it purified everything from you and me, to heaven itself; it never had to be repeated, and took away our judgment. As you enjoy your Easter celebration, please take a moment to pause and appreciate Christ’s perfect sacrifice; the purifying final act that took away judgment for those that call upon His name. What a joy to place our eternal hope in Him! Interested in holding your own church retreat, conference or ministry event at The Cove? Click here for information. Do you have a story to tell? Have you been called to encourage others and share what God has been teaching you? 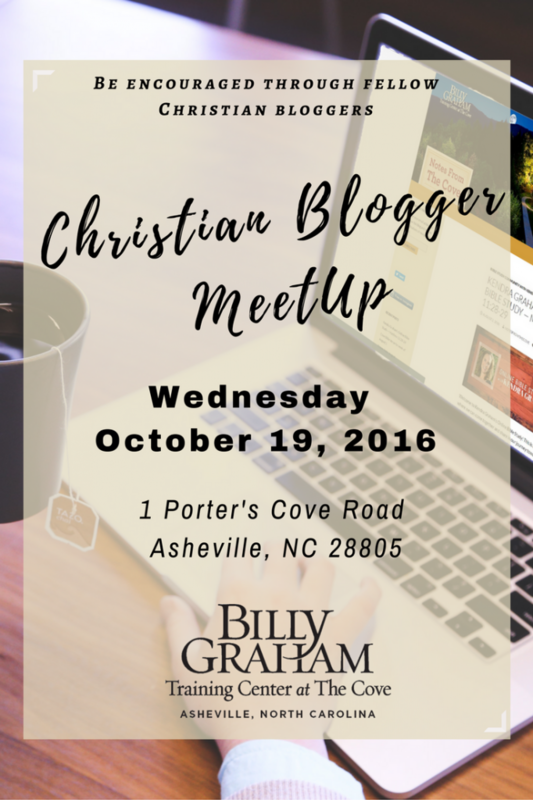 Join us at The Cove for a Christian Blogger MeetUp on Wednesday, October 19, 2016 from 1:00-3:00 p.m.! Come network with fellow Christian bloggers, learn tips and strategies that will help your message reach more people, and participate in round-table discussions on blogging. While attendance is free, your RSVP is required. 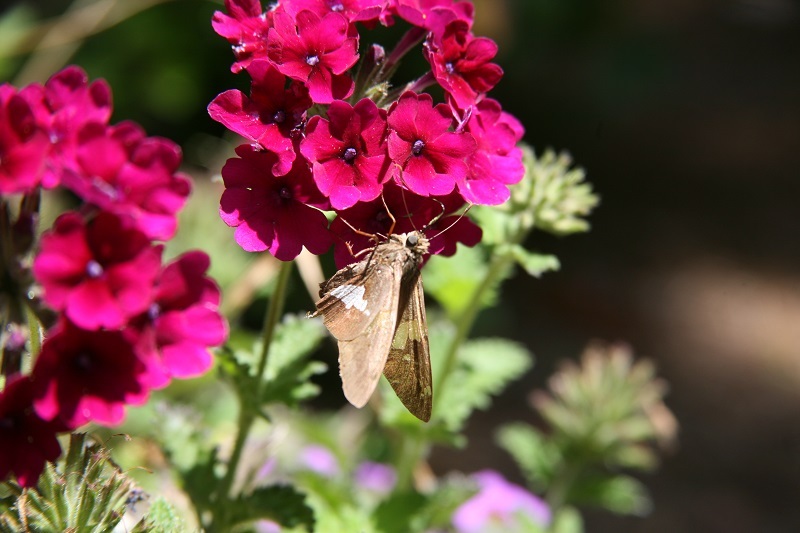 The Cove’s 14-Day #InTheGardenPhotoChallenge is all done! #InTheGardenPhotoChallenge was all about putting a spotlight on the aesthetic and spiritual beauty in and surrounding a garden. images from the newly opened Ruth’s Prayer Garden each day. How it worked: We asked everyone to post one photo per day on their personal Instagram and/or Facebook that followed our daily prompt. 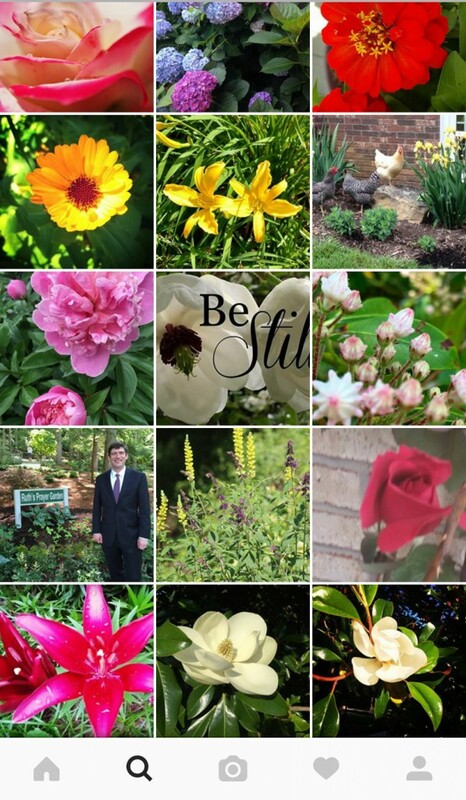 Everyone then included the hashtag #InTheGardenPhotoChallenge in their post! Following are the images we shared, as well as some from others who have joined in and shared from their neck of the woods. 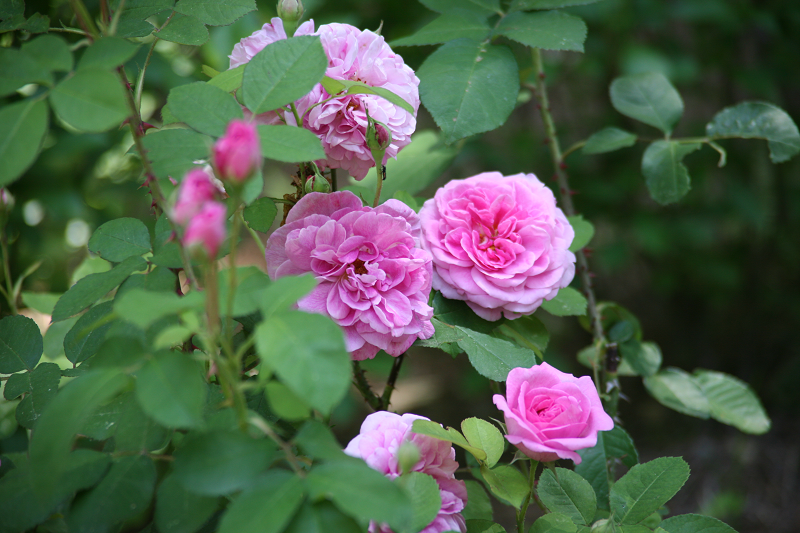 Thanks to everyone who has shared photos of their gardens with us! 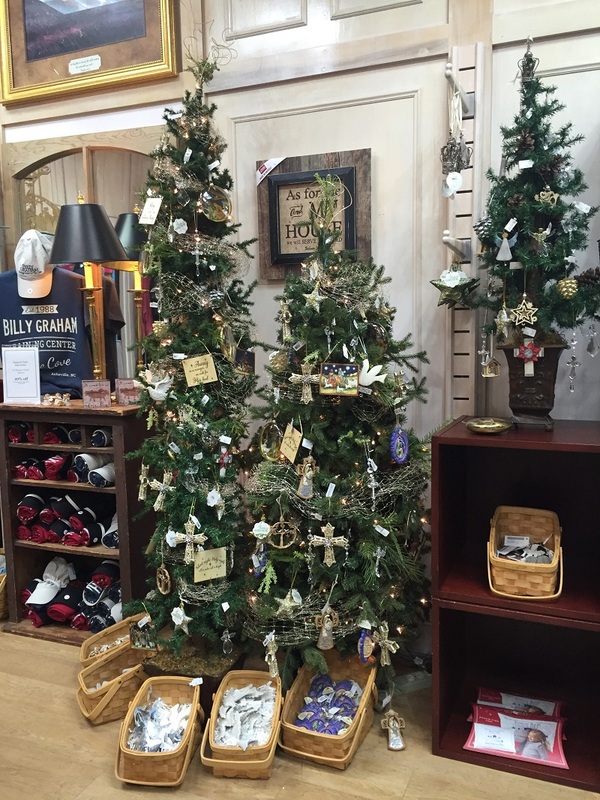 We hope you’ll make plans to visit Ruth’s Prayer Garden at the Chatlos Memorial Chapel and Visitors Center. Click here for directions and operating hours. 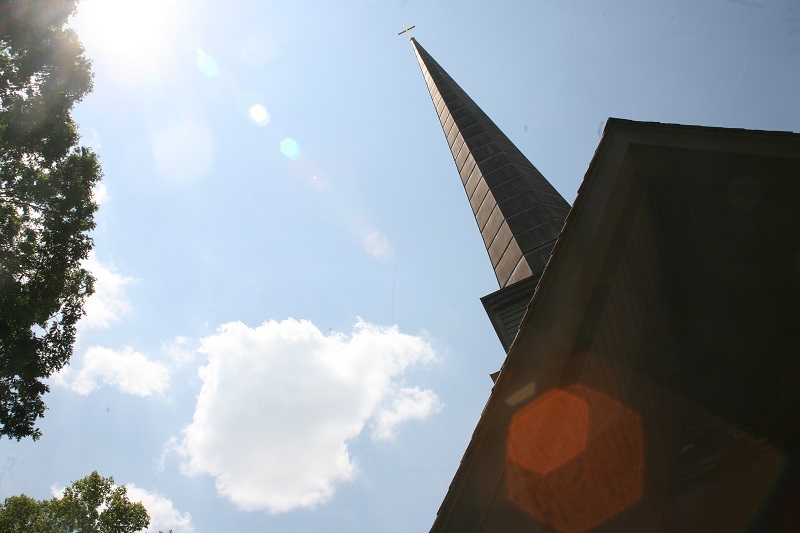 Make sure to leave time to tour the Chatlos Memorial Chapel & Visitors Center while you’re here too. Both tours are free. 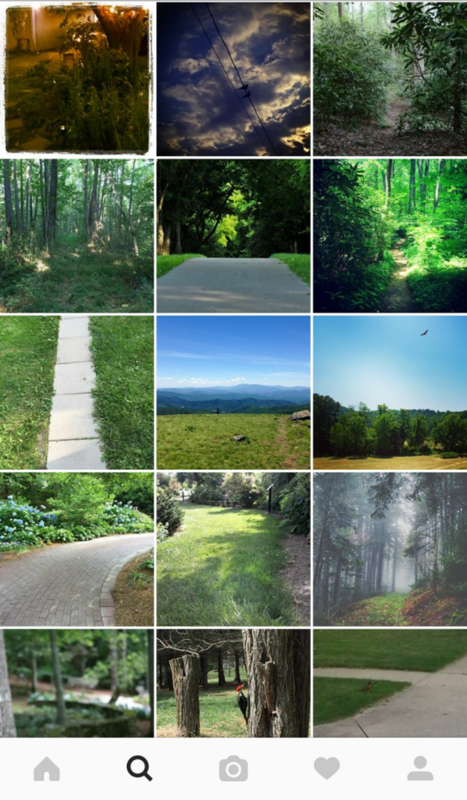 And don’t forget to follow The Cove on Instagram @thecovenc. Do you have an Instagram or Facebook account? We would love for you to participate in our 14-Day Photo Challenge beginning June 1. 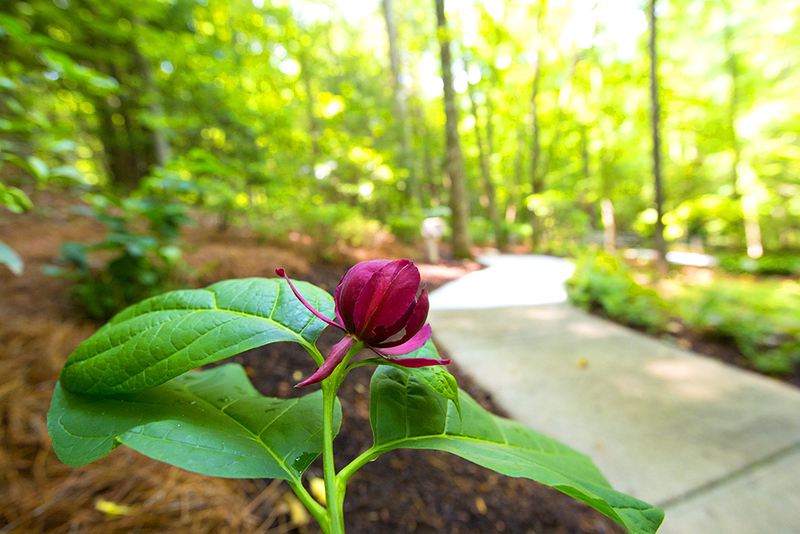 Our theme is “In The Garden.” We chose this because we will be celebrating the opening of Ruth’s Prayer Garden (and sharing photos from this garden), right here at The Cove in Asheville, NC, on June 2, 2016! 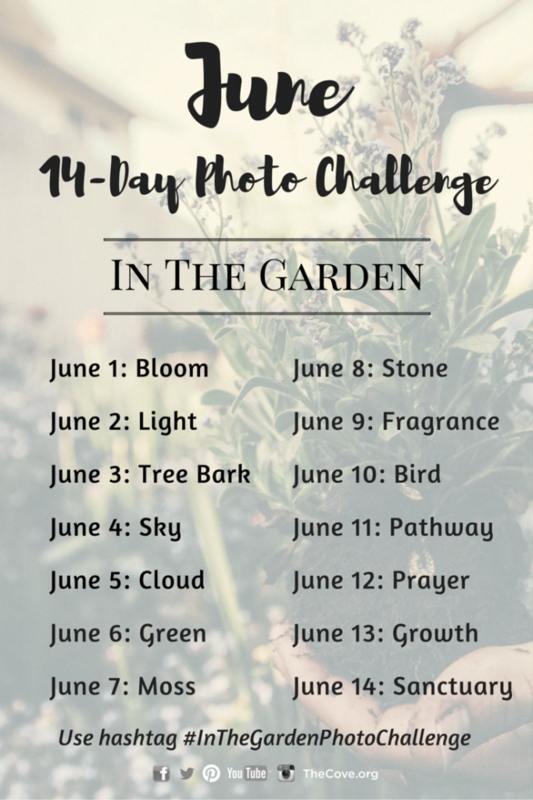 So, here’s how you can take part in our 14-Day Photo Challenge: Beginning June 1, share one photo per day on your Facebook or Instagram account based on the photo prompts we’ve outlined below and include the hashtag: #InTheGardenPhotoChallenge. 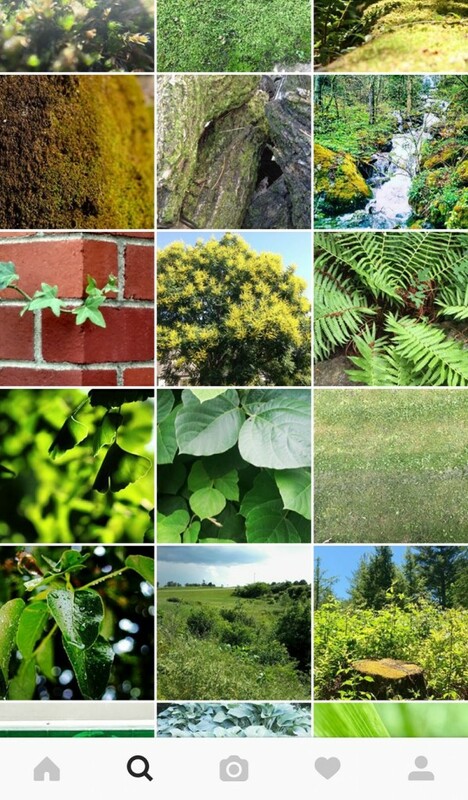 By using the hashtag #InTheGardenPhotoChallenge we’ll all be able to see what each other are posting in that one central search location. Don’t worry if you’re not a professional photographer–neither are we! We will be using both an iPhone and a Canon camera to take our pictures. Need some ideas of what to share? 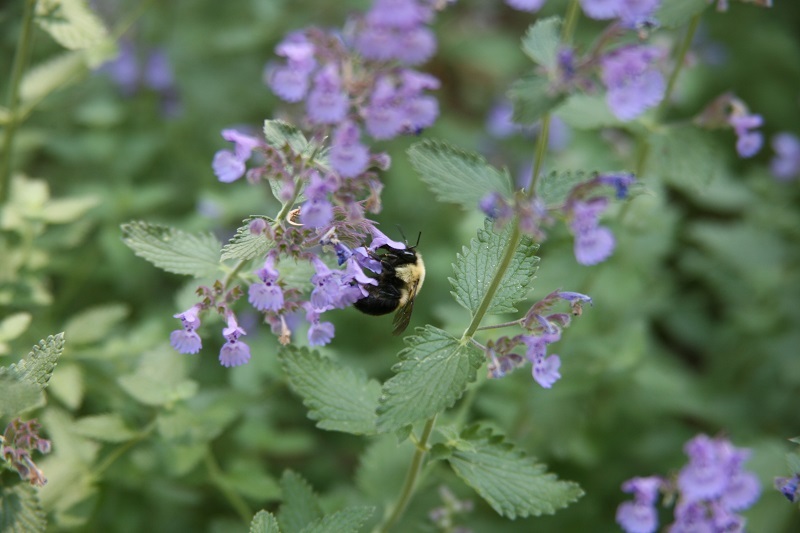 Post a picture of the flowers blooming in your yard (or your neighbor’s yard), the bumble bees pollinating the blooms in your garden, or a photo of the special place you call your spiritual sanctuary. 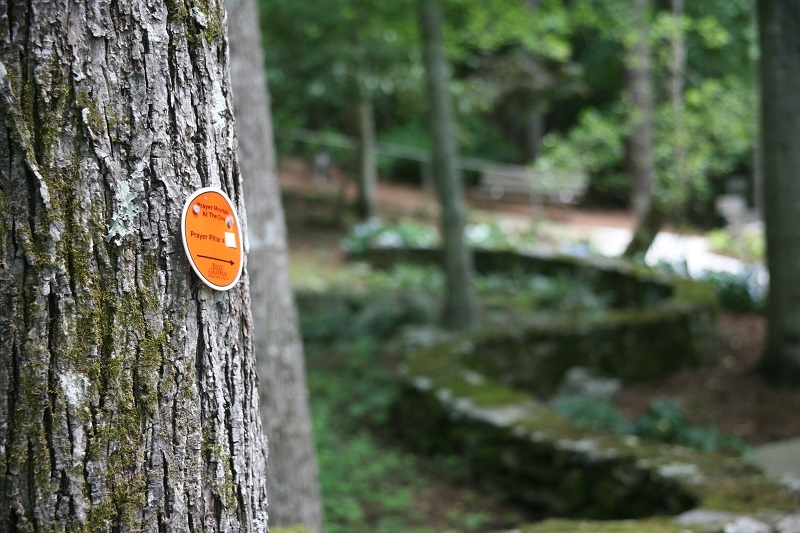 Each day we will be sharing photos from Ruth’s Prayer Garden. 14-Day Photo Challenge! 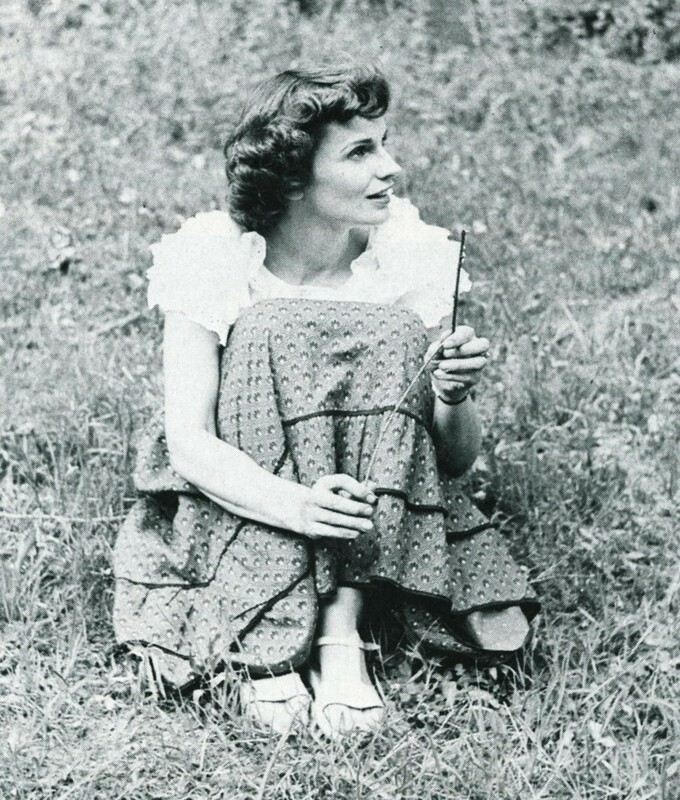 One of Ruth Bell Graham’s favorite flowers was a rose. 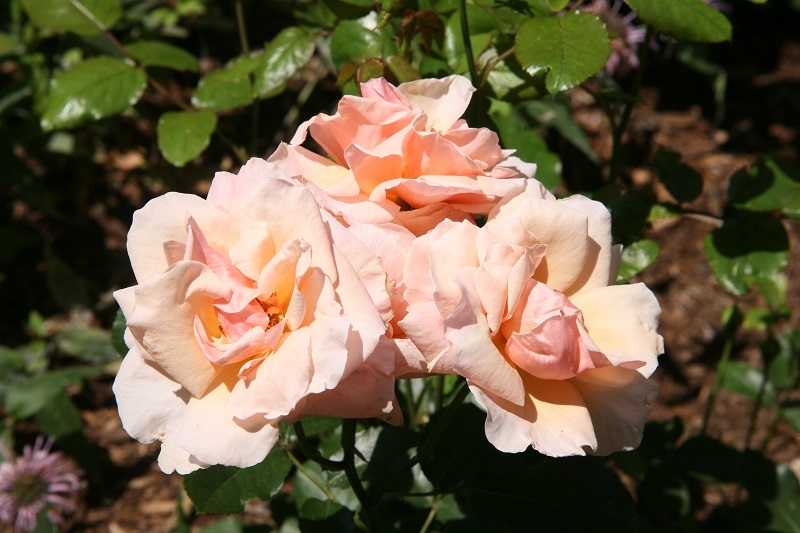 What a fitting bloom to commemorate her legacy in Ruth’s Prayer Garden at The Cove. FYI: Anyone taking part in the photo challenge may have their photos shared by The Cove and other participants. 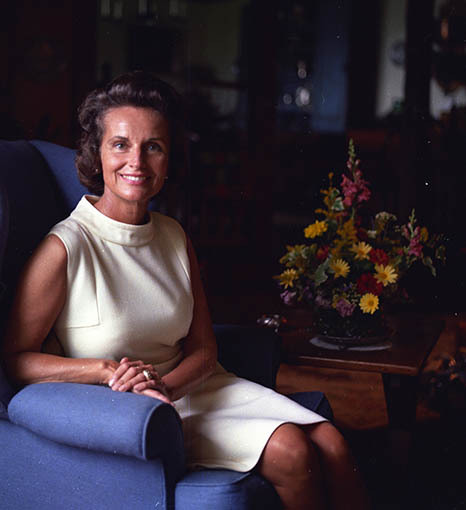 Ruth Bell Graham was a woman of prayer; and Ruth’s Prayer Garden, opening June 2, 2016 at the Billy Graham Training Center at The Cove, is designed to honor her memory and encourage others to pray. 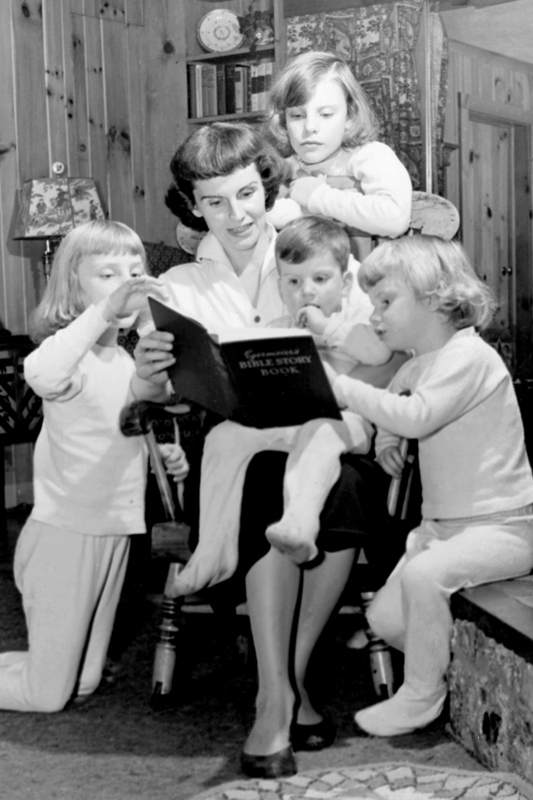 As the wife of evangelist Billy Graham, Ruth’s schedule was packed full with commitments—at times she traveled with her husband to crusades around the world, yet most often Ruth supported him behind the scenes and out of the spotlight by shouldering the responsibility of caring for their five children at their home in Montreat. 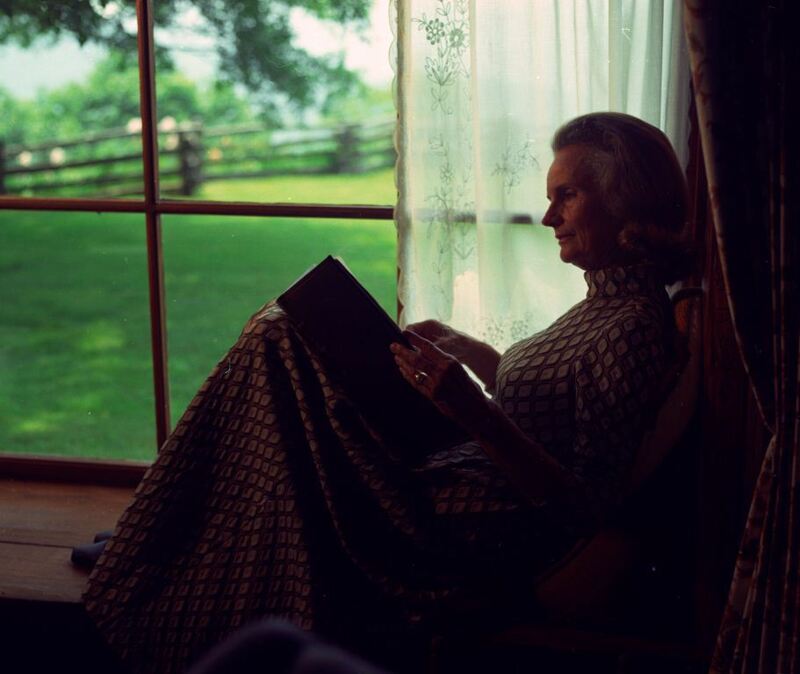 This remarkable woman could not have had the impact she had on her husband, her family, and the world, without the daily discipline of prayer. 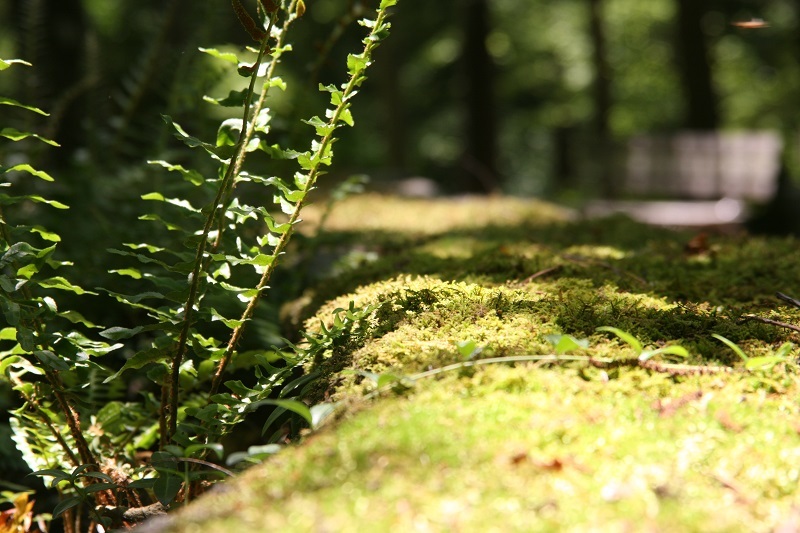 Winding along pathways surrounding Chatlos Memorial Chapel, Ruth’s Prayer Garden will offer a peaceful place for prayer and meditation amid the natural beauty and serenity of The Cove. 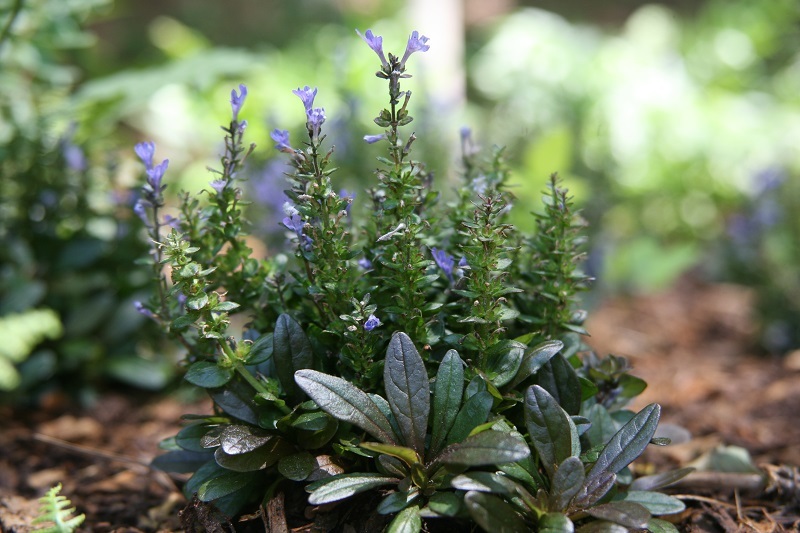 “Like The Cove itself, this garden is designed to be an extension of my grandparents’ home at Montreat,” Will says. 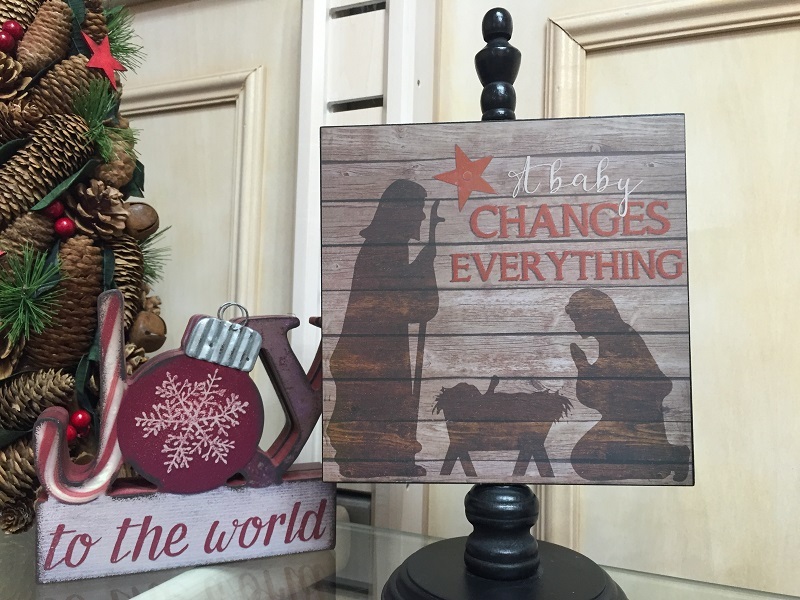 With five children in the household, the Graham home was a place of laughter, activity, and the usual childhood scrapes and squabbles; but more importantly, it was a place of prayer. 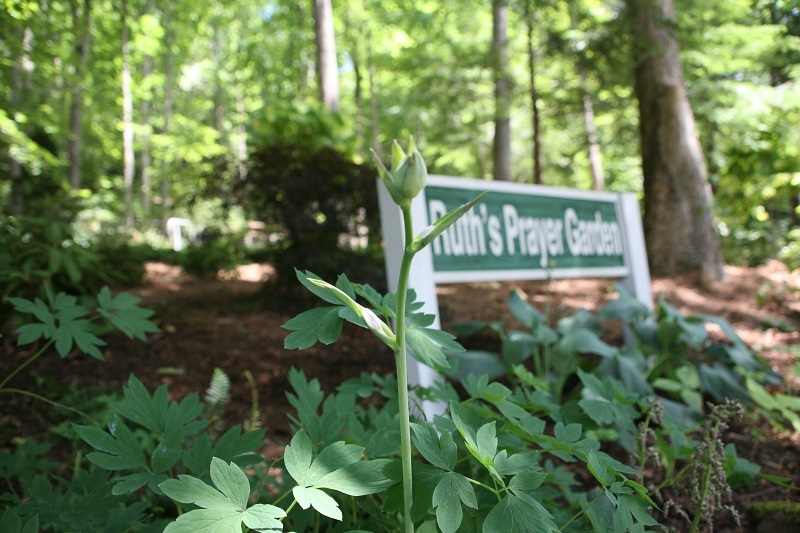 Ruth’s Prayer Garden was created to honor and perpetuate this legacy of prayer. Ruth’s love for color and beauty may have been the result of two strong childhood influences: her early childhood years in China as the daughter of medical missionaries, and her teen years in Montreat. 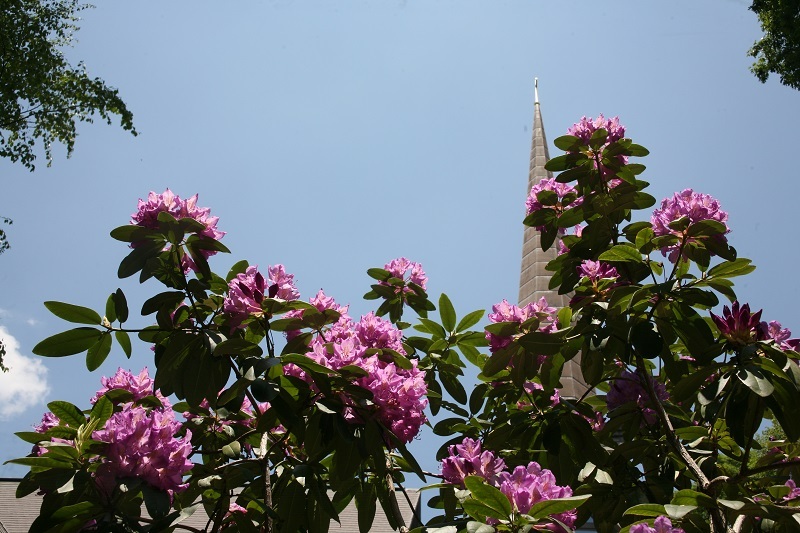 We hope you’ll make plans to visit Ruth’s Prayer Garden at the Chatlos Memorial Chapel and Visitors Center. Click here for directions and operating hours. While the New Testament details the crucifixion extensively, my own personal belief is that there is no greater text dealing with the suffering of Christ than Isaiah 53:5. As we near Easter — a time in which we remember and celebrate the finished work of Jesus on the cross — I’m once again reminded of this emotional, poignant passage. This single verse shows so much about our own human brokenness, and Christ’s incredible sacrifice. When Christ suffered, it was not pointless suffering, but it was in order to meet four of man’s greatest needs. Substitution: Man is not only sinful but he is guilty and deserves punishment for breaking God’s commandments. When we break laws in society, punishment is given to us. For example, we receive a fine when we are caught speeding. However, when we break God’s law, the punishment is death. (See Romans 6:23) Therefore, man’s need is not necessarily to get out of punishment or a reduction in punishment, but man needs a substitute. Jesus was pierced, crushed, chastised and wounded — for OUR sins. And because Jesus loved us, he chose to take our place. He became our substitute. Peace: Since we broke the covenant with God, our natural human status is to be in conflict with the Lord; the opposite of peace. Knowing this, and knowing that we could never afford to pay for such a peace, God gave His Son to take the wrath the God in order to appease His holy nature. Man was in debt to God and God paid His own bill. Jesus’ chastisement on the cross enables us to have peace with Him. Healing: Due to our own actions, we allow sin to come into our bodies and start to bring about death. This is spiritual death, and because it is spiritual, we need a divine cure: Jesus. 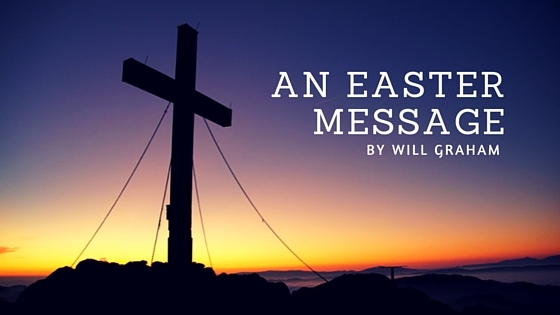 Christ’s death on the cross allows spiritual healing to come to our dying souls. By His wounds we are healed. Our sinful human nature is not a surprise to God. Yet in His love for us, He provided a way for us to find forgiveness, substitution, peace and healing through Jesus. 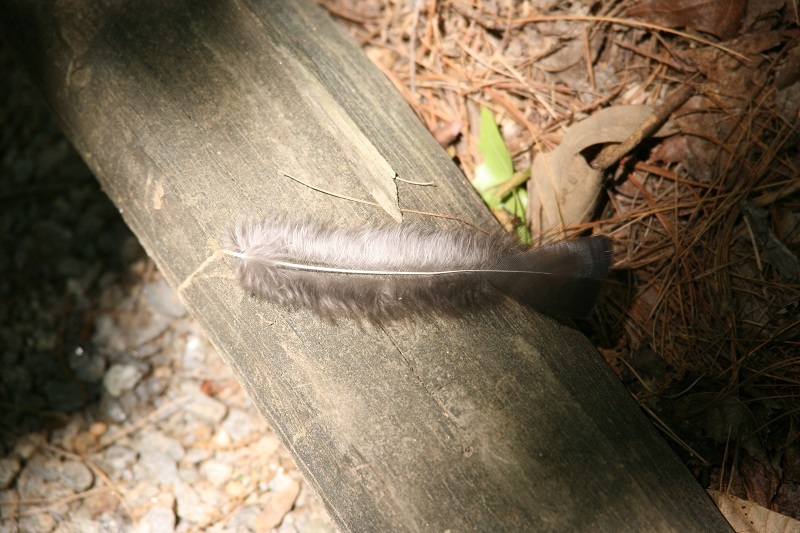 Perhaps as you read this, you are beginning to realize that you’ve never found forgiveness, or healing, or peace. You’ve struggled to do the right thing, trying to earn your way to heaven, only to fall time after time. If this sounds familiar, now would be the perfect time to find out the true meaning of Easter, and place your faith in the One whose death and resurrection we celebrate this season!